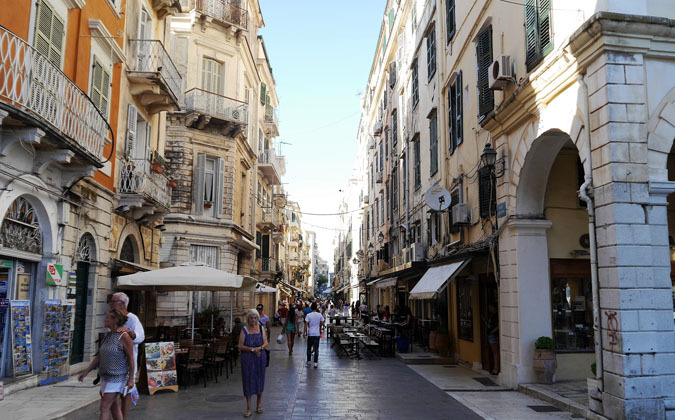 Corfu (Kerkyra) is a Greek island in the Ionian Sea, less than 100 km from the heel of Italy and hugging the mainland near the northwesters border of Greece. 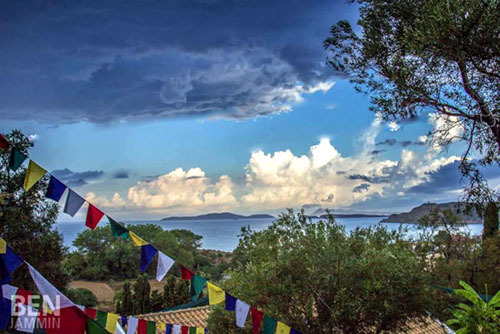 On a clear day one can easily see the mountains across the water in sounthern Albania. 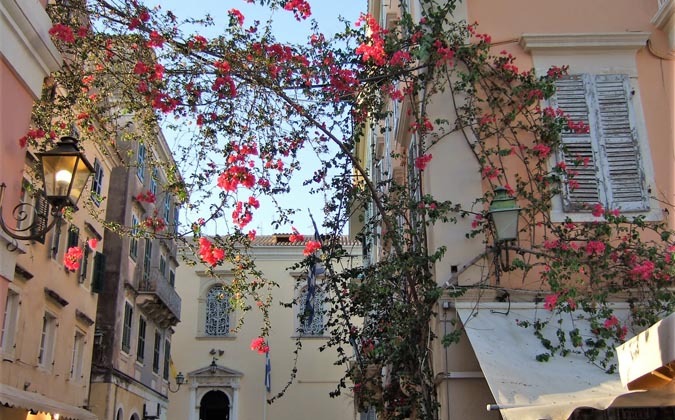 Summers are hot and dry, but from late autumn to early spring there are torrential rains. 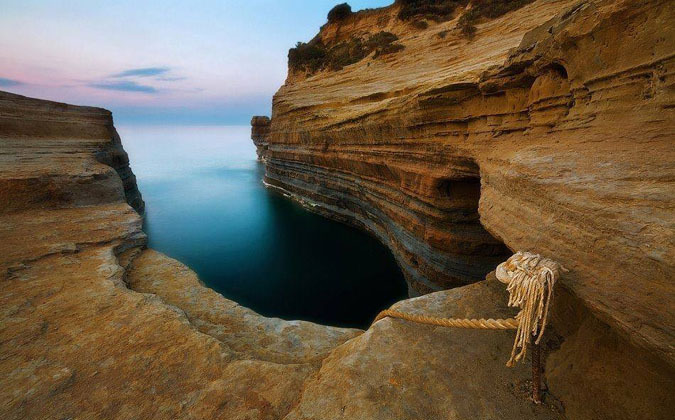 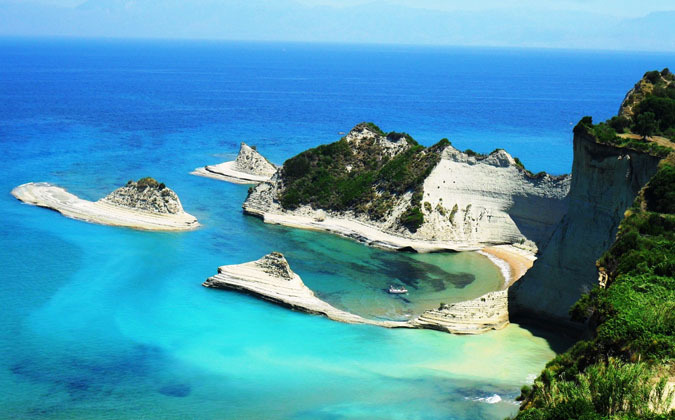 Corfu is considered the greenest of Greece’s islands and is affectionately called “The Emerald Isle”. 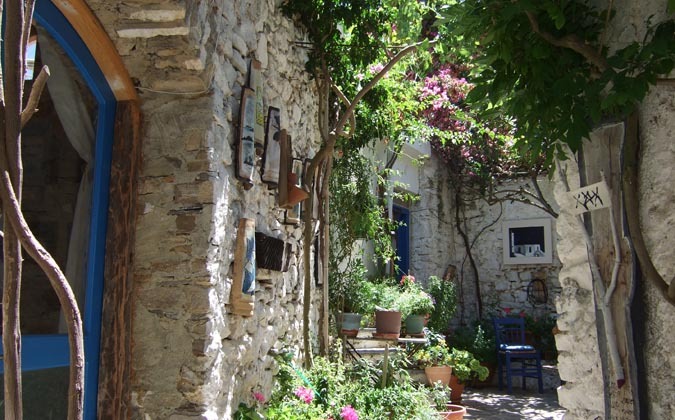 It is very lush, with many olive trees, cypresses, fruit trees, aromatic plants and flowers. 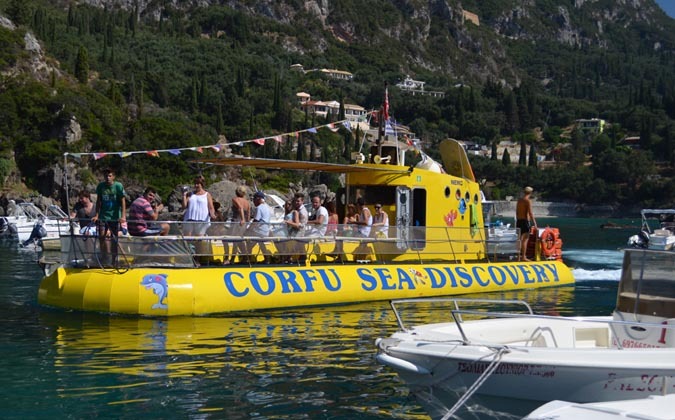 Corfu has always been a top tourist destination, especially with British, Italians, Dutch and Germans, and for a time in 80’s with the rich and famous jet-setter crowd too. 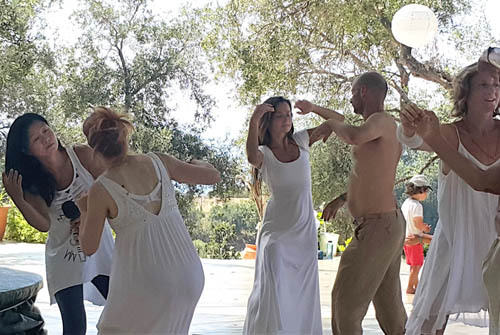 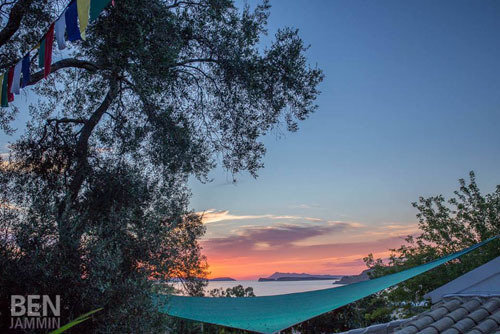 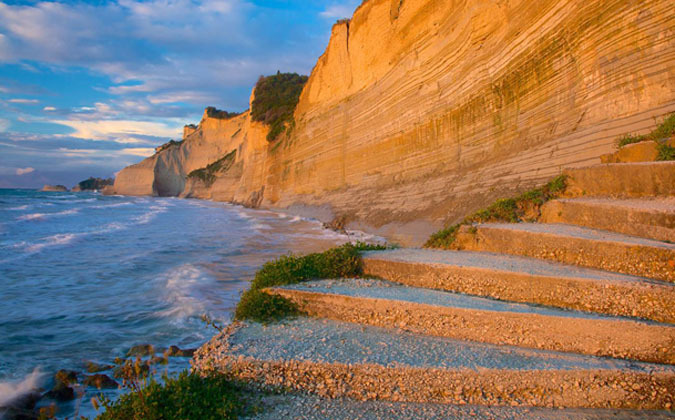 Yet for over 40 years now, Corfu has been receiving a different kind of traveler: individuals seeking a wholesome, meaningful way to enjoy holidays, merging outer beauty with inner peace. 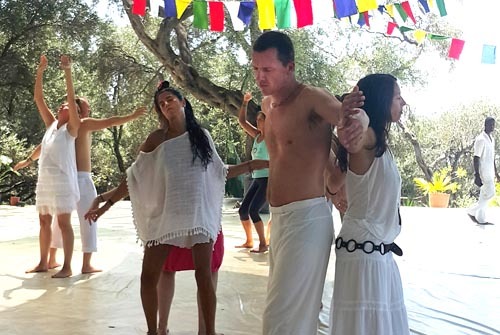 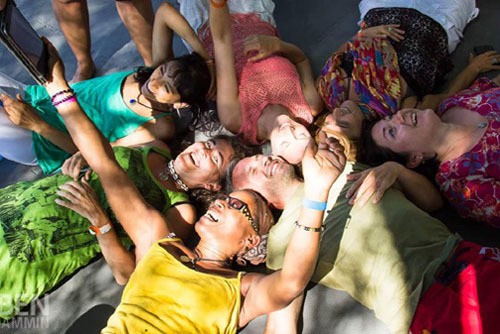 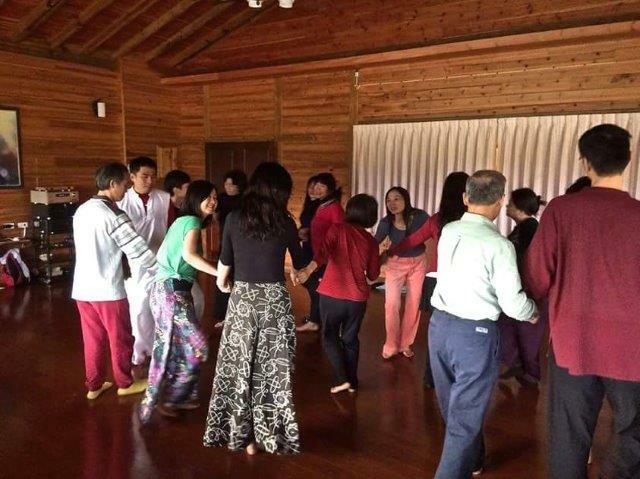 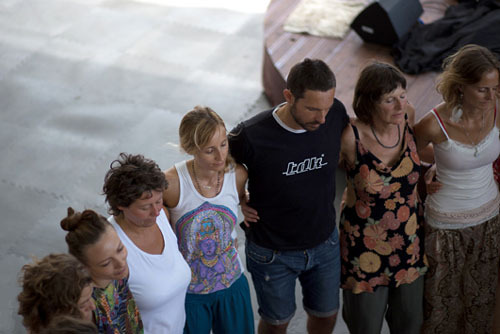 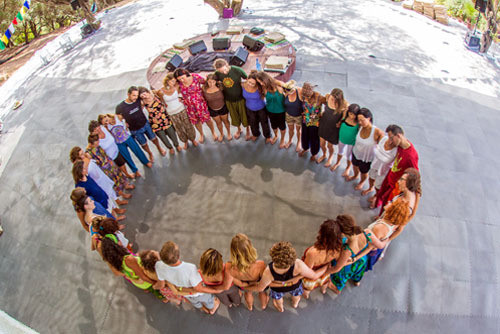 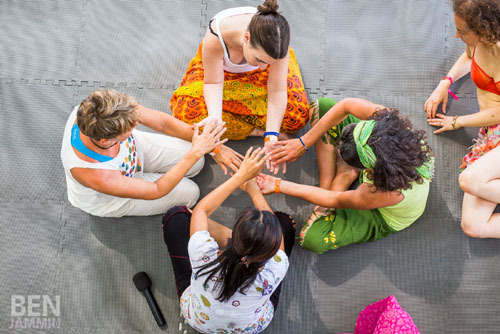 This has been increasing considerably over the past few years, with the northwest of the island turning into a magnetic center for spiritual growth. 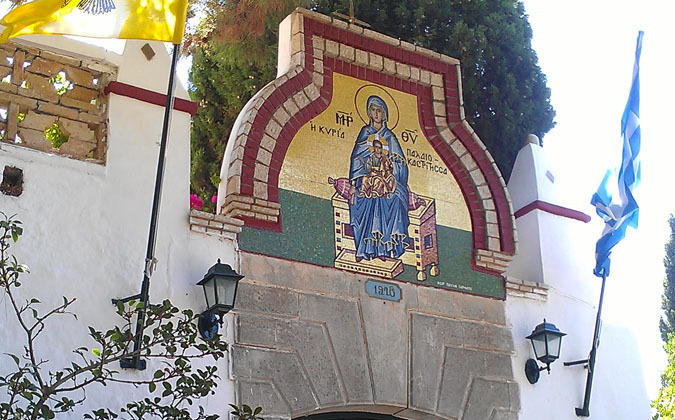 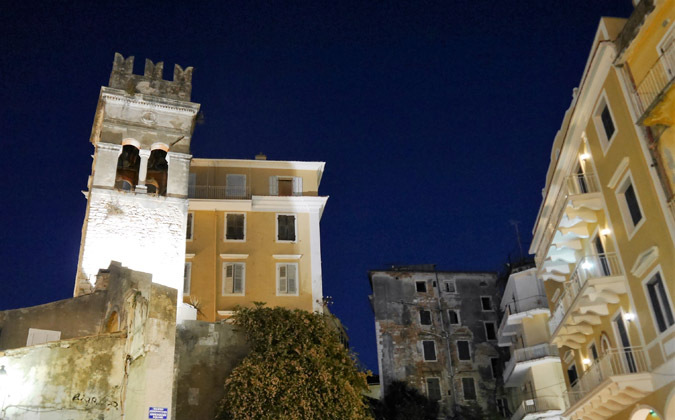 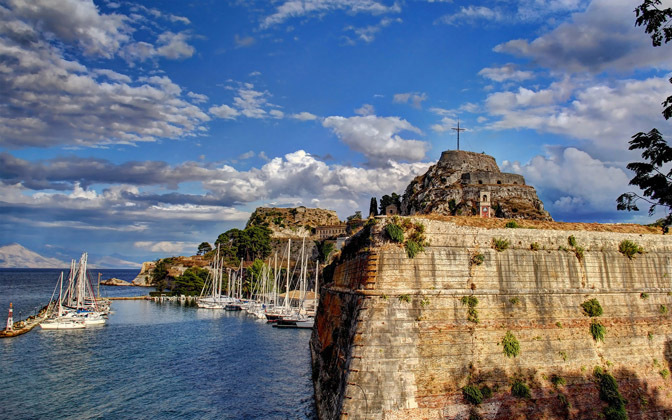 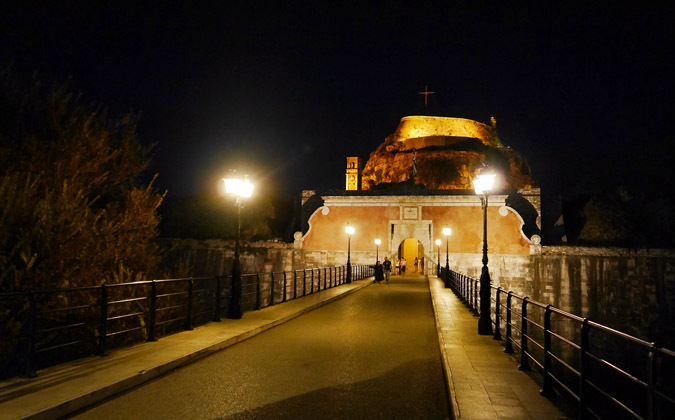 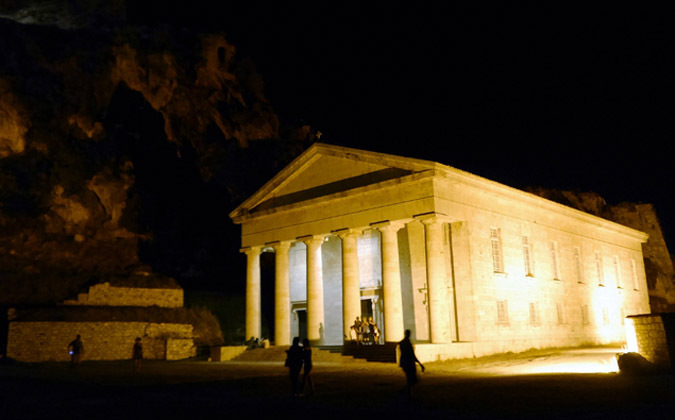 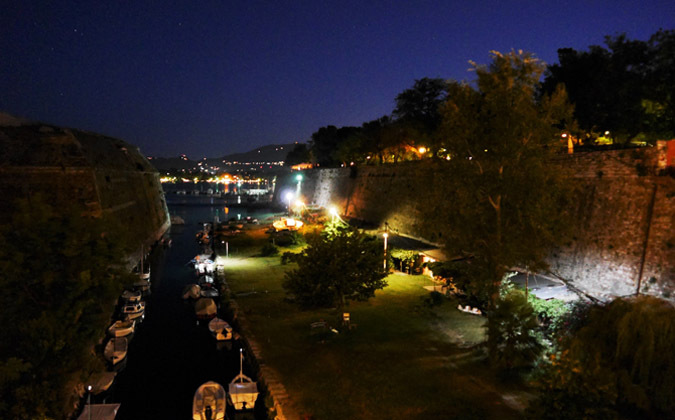 Corfu is a wonderful mix of culture and nature. 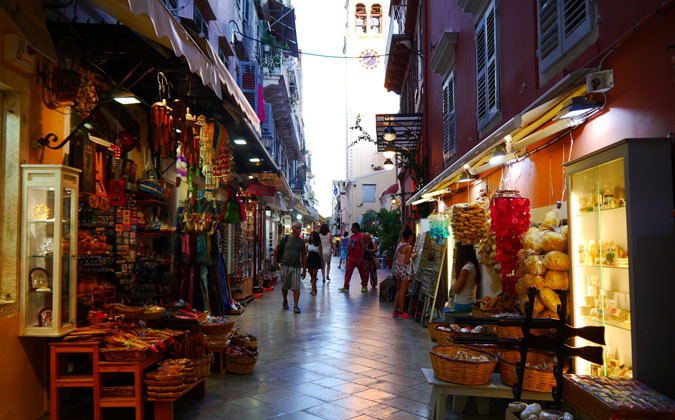 In Corfu Town one can get all their cultural needs met with beautiful architecture, great shopping and dining, and endless entertainment. 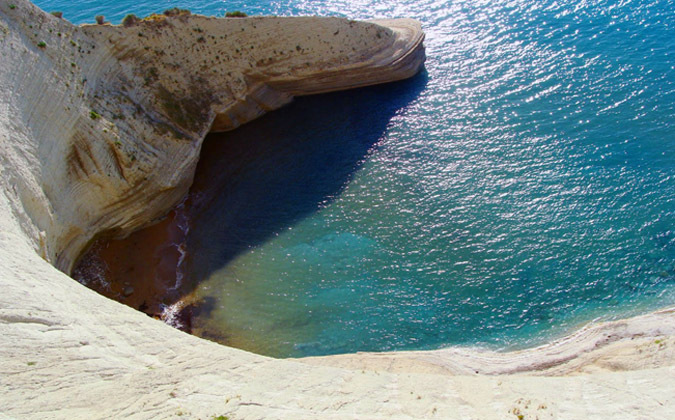 But many people will find the sandy beaches, crystal clear waters, lazy seaside villages, ancient olive groves and wonderful hiking trails to be their favorite attractions. 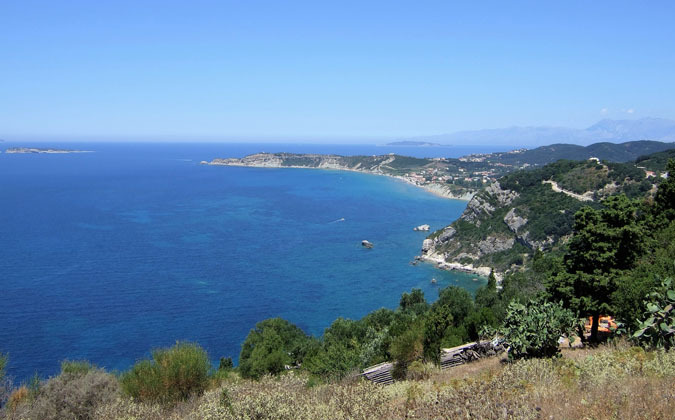 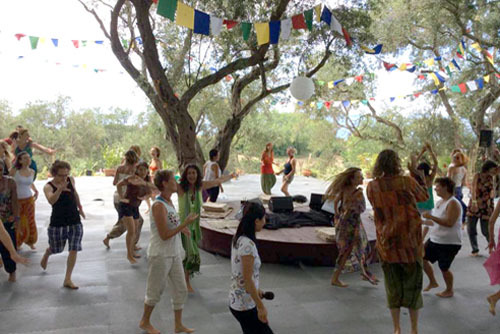 When in Corfu, peaceful nature, smiling locals, spiritual seekers and relaxation is never far away.